The news is back today as promised but I have vastly underestimated the time required to get my house in order after moving and need to take the rest of the week off. I hope this is not too disappointing, but I have a sense of urgency with family arriving next week for a month! The news today is more confirmation of the urgent action we need to take to reduce climate emissions and increase biodiversity with today’s top story outlining further increases in greenhouse gases to reach 405.5ppm of CO2. In other news, Australia is failing to meet environmental protection targets; Brazil has recorded its highest deforestation rate in a decade (and with Bolsonaro the future is not looking good); and BBC documents the multiple threats to the survival of wild lions. However, more positive news shows that predator proof sanctuaries do boost wildlife numbers; more than deep water 400 species are found in the first survey of the Australian Bight (also a proposed oil drilling site); and students in Australia and the Extinction Rebellion in the UK protest in favour of climate action. The main greenhouse gas emissions driving climate change have all reached record levels, the UN’s meteorology experts have reported. Carbon dioxide, methane and nitrous oxide are now far above pre-industrial levels, with no sign of a reversal of the upward trend, a World Meteorological Organization report says. “The last time the Earth experienced a comparable concentration of CO2 was 3-5m years ago, when the temperature was 2-3C warmer and sea level was 10-20 metres higher than now,” said the WMO secretary general, Petteri Taalas. USA – The Trump administration attempted to downplay the stark findings of its own climate change assessment, as Democrats sought to pressure the White House to avert looming economic and public health disaster. The US National Climate change assessment, the work of 300 scientists and 13 federal agencies, was released on Friday afternoon. It found that wildfires, storms and heatwaves are already taking a major toll on Americans’ wellbeing, with climate change set to “disrupt many areas of life” in the future. 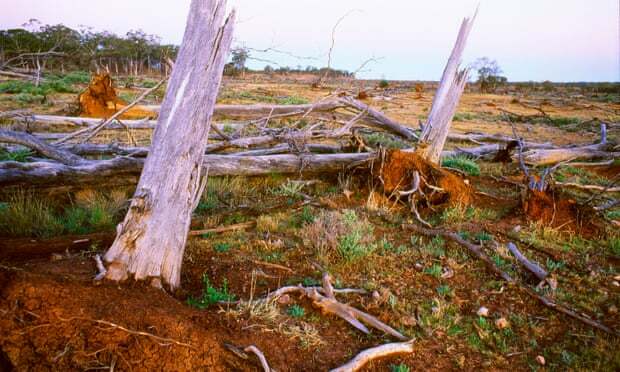 Australia is failing to meet international targets to protect nature in parts of the country where land clearing and habitat destruction are widespread, according to data in a major new United Nations report. The UN report on protected areas, released at the Convention on Biological Diversity Conference of the Parties in Egypt, examines progress by countries to meet global conservation targets. USA – Never mind silver bells and cockleshells, Mary should have tossed dead fish to help her garden grown. A team of US researchers has found that sockeye salmon carcasses has helped boost tree growth by up to 20%. Over a 20-year period, students from the University of Washington tossed dead fish from a stream on to a river bank. Data shows the nutrients from the rotting flesh boosted growth in the area’s trees. AUSTRALIA – With oil exploration looming on the horizon for the Great Australian Bight, stakeholders felt it was an important time to learn more about the species that call the rough waters off Australia’s southern coastline home. In a joint effort between BP, The South Australian Research and Development Institute [SARDI], the CSIRO, the University of Adelaide and Flinders University, the Great Australian Bight’s deep sea waters have been surveyed for the first time and results have revealed 400 new species of invertebrates. The paper’s lead author, Dr Hugh Macintosh, said this kind of survey was important because it established baseline knowledge about the environment. Brazil has released its worst annual deforestation figures in a decade amid fears that the situation might worsen when the avowedly anti-environmentalist president-elect Jair Bolsonaro takes power. Between August 2017 and July 2018, 7,900sq kms were deforested, according to preliminary figures from the environment ministry based on satellite monitoring – a 13.7% rise on the previous year and the biggest area of forest cleared since 2008. The area is equivalent to 987,000 football pitches. 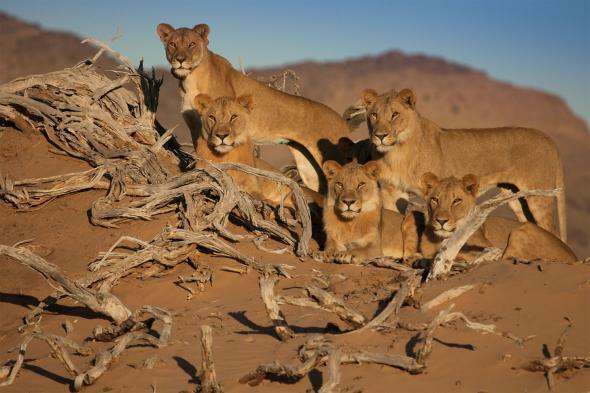 In part three of the BBC’s new nature series Dynasties, the protagonists, Charm and Sienna, show us how hard it is to be a successful lioness in a land filled with enemies. Under constant threat of marauding hyenas and cub-killing male lions, the two mothers have to fight for their lives to ensure their offspring have a chance of making it to adulthood. But the episode also shows us that the biggest enemy of lions isn’t other wild predators – it’s humans. NEW ZEALAND – A bold new $100 million investment plan could potentially halve the Waipā Catchment’s 10-year pollution reduction target put forward in the Healthy Rivers plan change. Spearheaded by the Waikato River Authority, it aims to secure the capital to buy 12-18 dairy farms within the catchment and convert these properties to low impact organic operations if it received backing. NEW ZEALAND – You’d think this was settled by now, but studies are only now showing that fenced, predator-free sanctuaries on the main islands of New Zealand actually protect native birds. “These findings provide compelling evidence that fenced sanctuaries effectively conserve native island bird populations,” reported three authors in the journal Ecosphere earlier this month. Pacific Island nations declared two world firsts on Thursday, as part of a “virtual climate summit”. Vanuatu is considering legal action against oil majors for climate damages, foreign minister Ralph Regenvanu revealed – an unprecedented move by a nation state. The Marshall Islands submitted the first updated national climate plan to the UN climate body, urging others to follow by 2020. UK – A summit, attended by HRH the Prince of Wales, has brought together companies to sign a plastic waste agreement. Business in the Community, part of the Prince’s Responsible Business Network, brought together over 200 leaders from business, government, academia and civil society. The ‘Waste to Wealth’ commitment was signed by Sky, Thames Water, Iceland and Heineken. The commitment will ensure that these companies work collectively to help double the nation’s resource productivity and reduce avoidable waste by 2030. They are required to set targets to improve the productivity that are key for business. NEW ZEALAND – The Government will extend its plastic bag ban to include thicker bags from high street shops as it moves to rid the environment of plastic waste wreaking havoc with the environment. Associate Environment Minister Eugenie Sage has confirmed that all single-use plastic bags will be banned by the middle of next year. AUSTRALIA – Labor has maintained a 55-45% two-party lead in the latest Newspoll, in a weekend of woe for the Morrison government, which is trying to play down the federal contribution to the Victorian Liberal wipeout. AUSTRALIA – This Friday, November 30, thousands of Australian students will go on strike, demanding their politicians start taking serious action on climate change. The movement, School Strike 4 Climate Action, has been inspired by a 15-year-old Swedish student, Greta Thunberg, who started boycotting classes before parliamentary elections in her nation on September 9, and continues to skip school every Friday. She also has a particular message for Australia. Students in each state capital and across 20 regional Australian centres will walk out of their classrooms this week to tell politicians that more of the same climate inaction is not good enough. AUSTRALIA – It seems Australia’s experiment at being a world leader at “innovation” is over, with the abrupt departure of its champion, Malcolm Turnbull. The then prime minister made headlines with his 2015 Innovation Statement, which sought to move the Australian economy beyond dependence on natural resource extraction into an “ideas boom”. But his replacement with Prime Minister Scott Morrison three months ago has seen innovation disappear off the government’s radar. Even the job of innovation minister was scrapped – to the consternation of the tech and start-up sectors. 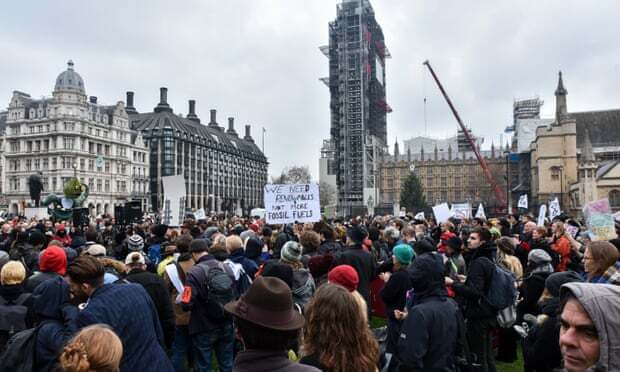 UK – Dozens of campaigners blocked the roads around Parliament Square to highlight concerns about the environment on Saturday. About 50 activists from Extinction Rebellion, a direct action group that has been coordinating a campaign of civil disobedience which has brought areas of the capital to a standstill in recent weeks, risked arrest by standing defiantly in roads in front of queueing traffic. Poland’s energy ministry has come out fighting for the coal sector, ahead of UN climate talks in Katowice next month. Krzysztof Tchórzewski’s ministry defended the country’s heavy reliance on the polluting fuel, in a statement published on Monday. In 2017, coal generated 78% of electricity. Yet a spokesperson for the Cop24 presidency, which sits in the environment ministry, said in a terse email that did not represent the Polish government position. A new nearly $7 billion mega-mine in Queensland’s Galilee Basin is a step closer after gaining approval from the state’s coordinator-general, who released has an evaluation of the environmental impact statement (EIS), but conservationists say the decision is “reckless”. MacMines AustAsia’s 20,000-hectare China Stone thermal coal project is expected to produce 38 million tonnes of coal annually. It will create thousands of jobs and is planned to be built alongside Adani’s proposed mine in central Queensland, looping into the Indian project’s planned railway line to Abbot Point. AUSTRALIA – Alinta Energy’s plans to pioneer the commercial rollout of geothermal heating and cooling – and potentially even hot water – in Australia have been made official this week, with the launch of Alinta Energy Geothermal. The Hong Kong-owned gen-tailer launched the new company division on Thursday in New South Wales, where it has successfully installed geothermal heating and cooling throughout a major housing development in the suburb of Blacktown. AUSTRALIA – The doors of what’s believed to be Australia’s tallest engineered timber office building in Brisbane’s Fortitude Valley are now officially open. The nine-storey (plus ground floor), 45-metre-high timber commercial tower at 25 King Street is now ready for tenants to move in, including anchor tenant Aurecon. The global engineering firm will occupy 43.5 per cent, or around 6510 square metres of the 14,965 sq m of total net lettable area. Tenants for the remaining space are still being secured. The 2019 Nissan Leaf won one of Australia’s most coveted car award on Friday, taking home the ‘Green Innovation’ award handed out in Drive Car of the Year’s yearly accolades for its innovative vehicle-to-grid technology (V2G). The award adds to a growing collection for Japanese carmaker’s new generation Leaf, having won among others the title of “2018 World Green Car” at this year’s New York International Auto Show. Remember Winston Peters’ $18 cabbages? The dire prediction about the impact of Labour’s pre-election water tax proposals must have involved a guesstimate of how much water it takes to grow a cabbage – albeit a vastly wrong one. As competition for water intensifies around the world, the idea of water footprints is gaining currency as a way to compare the water efficiency of different foods. You’ve probably heard that it takes 1000 litres of water to produce a litre of milk, and rumblings and grumblings about the 16,000l needed to produce a kilogram of almonds.